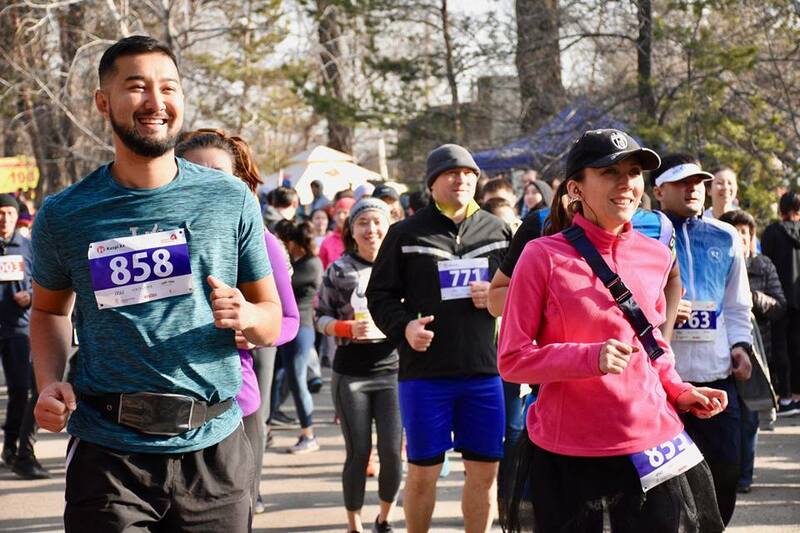 NUR-SULTAN – Seventeen thousand runners will participate in the Almaty Marathon April 21, 10 percent of whom are from 53 countries of the world including China, India, Kyrgyzstan, Russia, Ukraine, the United Kingdom, the United States and Uzbekistan. Photo credit: The Almaty Marathon Facebook Page. The marathon’s regional ambassadors actively promote running in nearly every Kazakh city, Bishkek (Kyrgyzstan) and Tashkent (Uzbekistan). Each regularly conducts open training sessions in their cities, introduces people to running, shares nutrition and preparation tips and forms team for the race. This year, every ambassador will recruit up to 40 runners for their teams, reported sports.kz. One of the foreign participants, Polish amateur athlete and traveller Wojciech Machnik, plans to set the Guinness World Record for the maximum number of marathons completed in various countries in one year. He has finished 35 marathons since August and plans to run races in 249 nations as part of his 249 Challenge. Kazakhstan will be the 46th country. Machnik has received the Six Star medal, the prestigious marathon award, and finished the six main races in the World Marathon Majors series (Berlin, Boston, Chicago, London, New York and Tokyo). 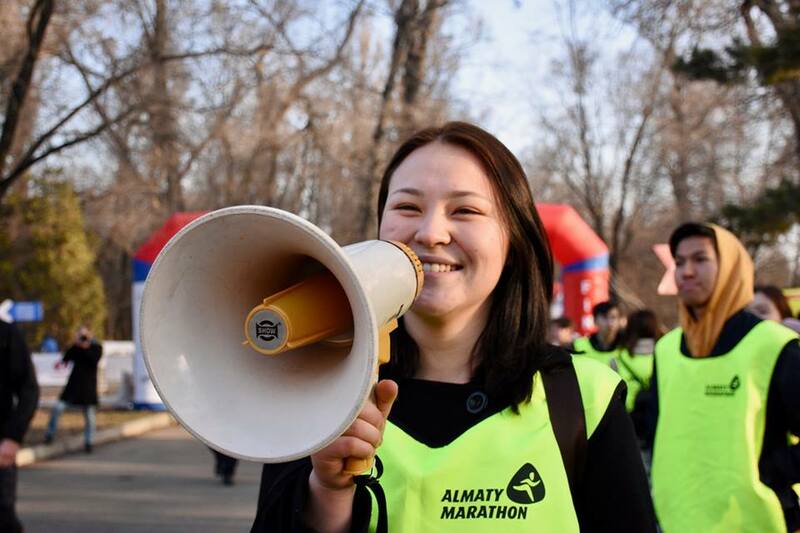 The Almaty Marathon is organised by the Courage to Be the First corporate fund, Almaty Fitness Club and Shakhmardan Yesenov Science and Education Foundation with the support of the Almaty Akimat (city administration). Photo credits: The Almaty Marathon Facebook Page. The race has 42, 21 and 10-kilometre lengths (running and Nordic walking) for adults, three kilometres for teenagers (10-14 years) and the Ekiden relay race, 42 kilometres, 195 metres divided into six distances for six team members. This year, the organisers designed the 10-kilometre route in a way that marathoners, half marathoners and other participants will not meet until close to the finish. They also changed the children’s route to a straight line along Satpayev Street to Central Stadium and back to the finish line at Respublika Square. The organisers increased the number of ambulances and appointed five medical cyclists who will supervise participants along the routes. The marathon’s medical partner will provide first aid at seven medical tents along the route and one in the start-finish area. A portion of the participants’ entry fees will be spent in May to construct sports facilities at three children’s institutions – Almaty regional boarding school No. 15 for children from low-income families, adaptive skiing and snowboarding for children with autism spectrum disorder and other developmental features and the Kirov military-patriotic club of young army soldiers.